Chef Ron Spada and his wife Jennifer have created a unique dining experience at their new restaurant, The House at Gatewood. 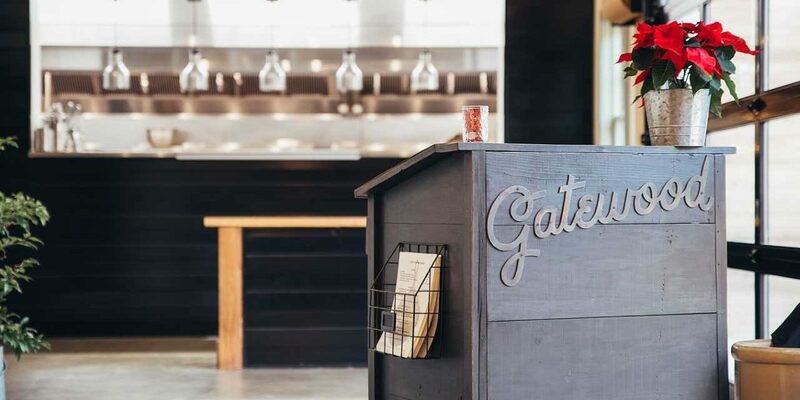 Situated in a home previously owned by Dr. Gatewood, a local dentist, the Spadas have created a concept to honor Hillsborough’s history while providing a modern dining experience. Customers dine on tables made of reclaimed wood while surrounded by historic local photographs and old southern mirrors. While the setting gives off an antique vibe, the cuisine offers “classic dinners with a twist,” according to Jennifer. Of these dinners, one of their most popular dishes is the brisket, which is smoked overnight for 10 hours. People come in during the week and buy it by the pound. It often sells out, prompting many customers to call ahead and ask how early to arrive so they can ensure their favorite is available. The menu also includes staples like a cracker-crusted pork chop with cheese grits and gravy as well as rotating specials. While the House at Gatewood has seen quick success since its soft opening in December, Jennifer Spada says the property is still far from finished. With the expanded property, the Spadas hope to establish Gatewood as a regional destination. While they hope to attract larger groups such as weddings and corporate events, they are also looking forward to events they can put on themselves for the public. Even though the House at Gatewood owners are excited to see what comes next as they expand, they are very proud of what they have already accomplished in their community and are excited to develop with the town of Hillsborough. Featured image: House at Gatewood’s antique feel and modern cuisine present a “Newstalgic” dining experience in Hillsborough. Photo courtesy of Jennifer Spada.